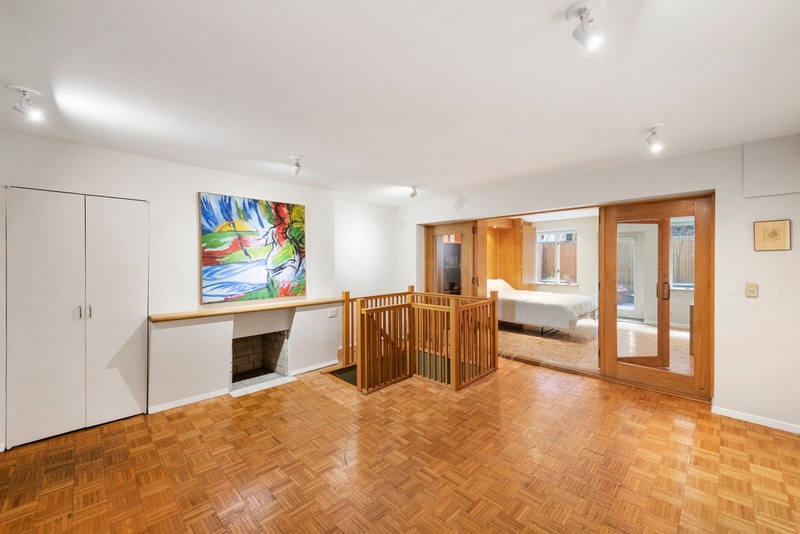 A spacious 1200 square foot, duplex co-op nestled just three blocks from the New York Public Library and Bryant Park, this 1-bedroom, 1.5-bathroom home is a portrait of traditional city living. 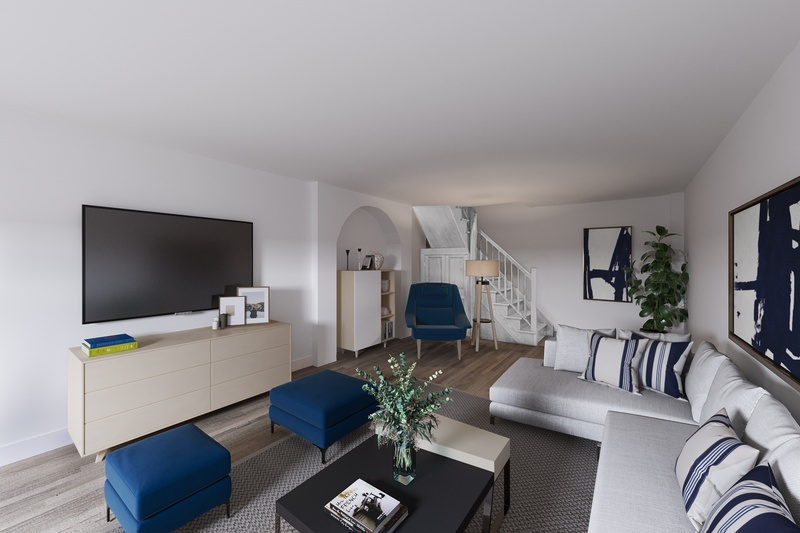 Features of the apartment include parquet hardwood floors, southern exposure, decorative fire place, a convenient in-unit laundry room with a washer and dryer, a large den, a renovated kitchen and bathroom. 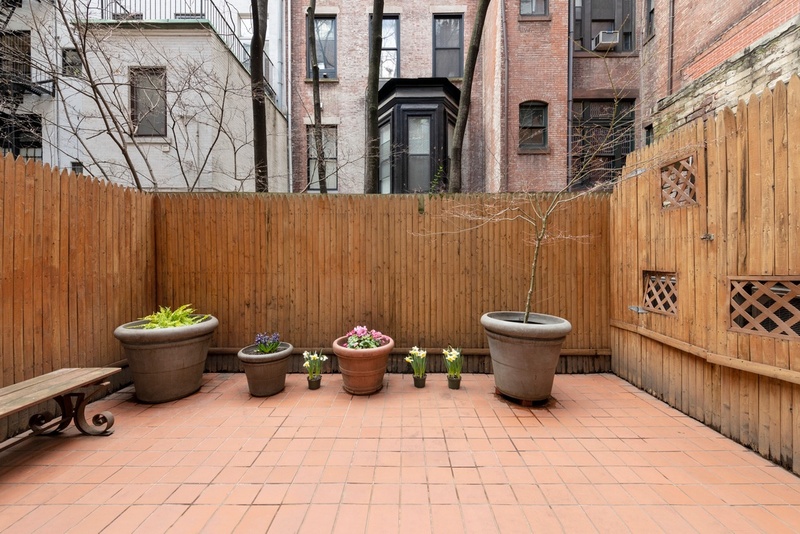 Additionally, the lovely 253 square foot outdoor patio, is perfect for dinner parties or enjoying lazy days at home. 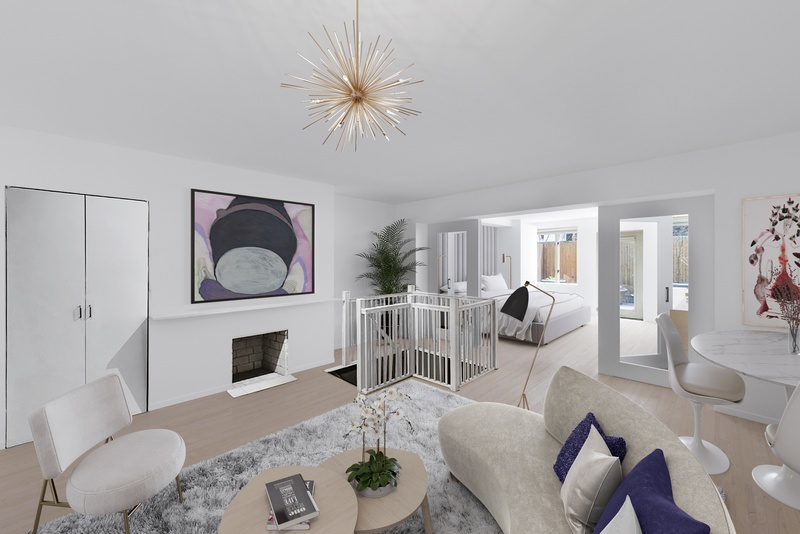 The upper level of the home opens into a large living and dining area adorned with a fireplace and a storage closet. 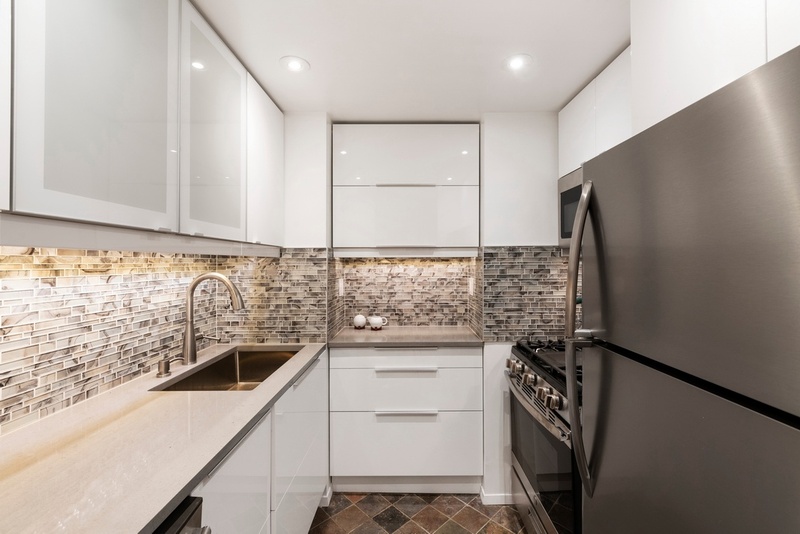 The kitchen sits just off the dining space and is equipped with sleek stone countertops, a mosaic tile backsplash, white lacquer cabinetry, and a suite of high-end stainless steel appliances. 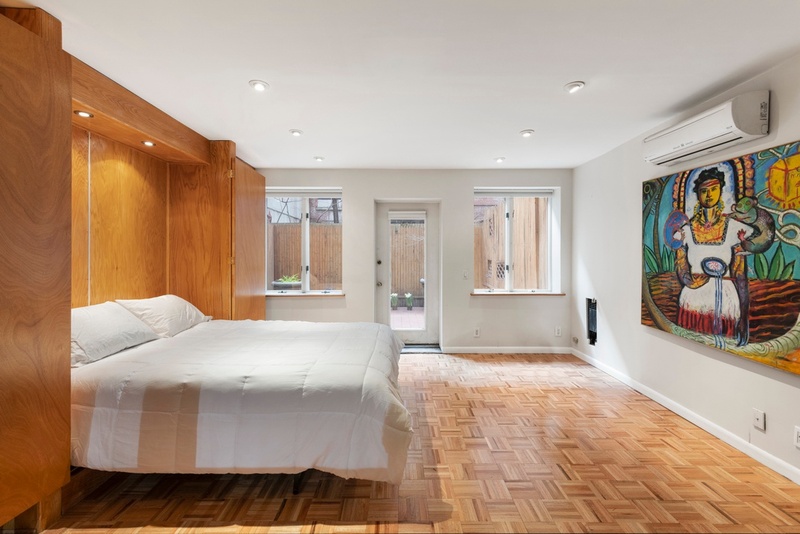 The bedroom lies beyond the living space and possesses a pair of large closets and direct access to the garden. 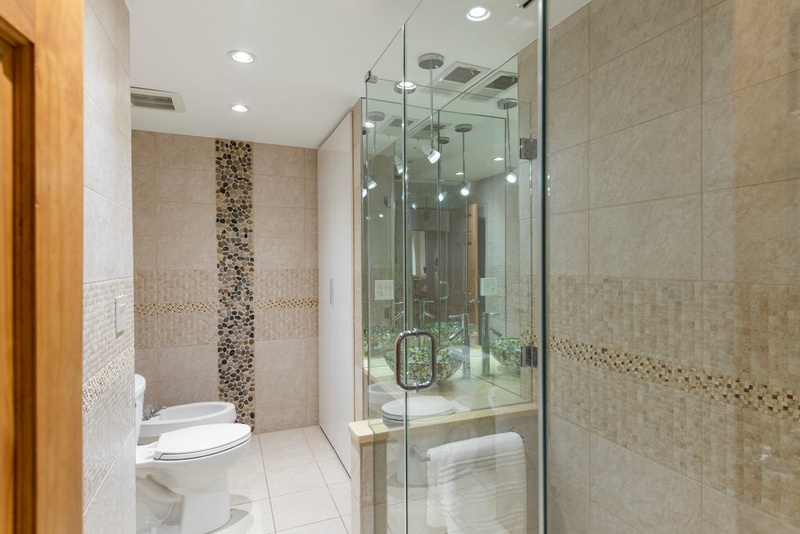 The bathroom boasts new fixtures and finishes and a luxurious walk-in rain shower. 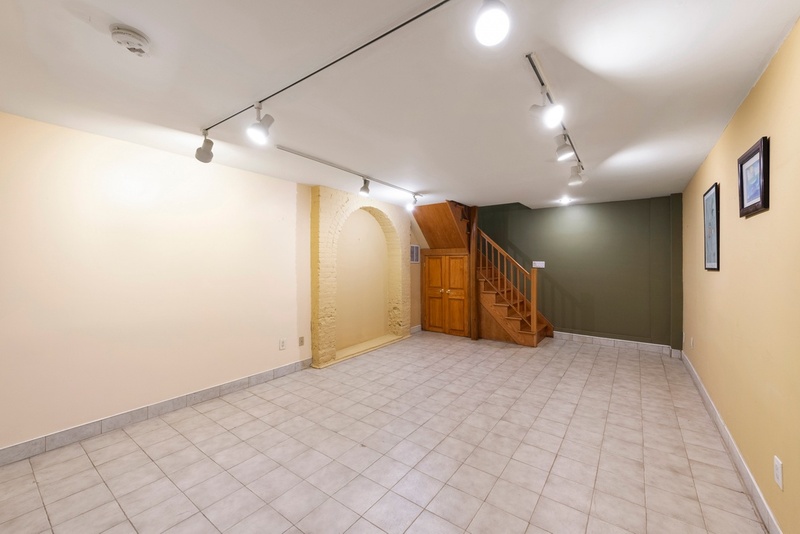 The lower level is a completely open space ideal for use as a den, entertainment room, or office. It has additional closet space, a laundry room, and a powder room. 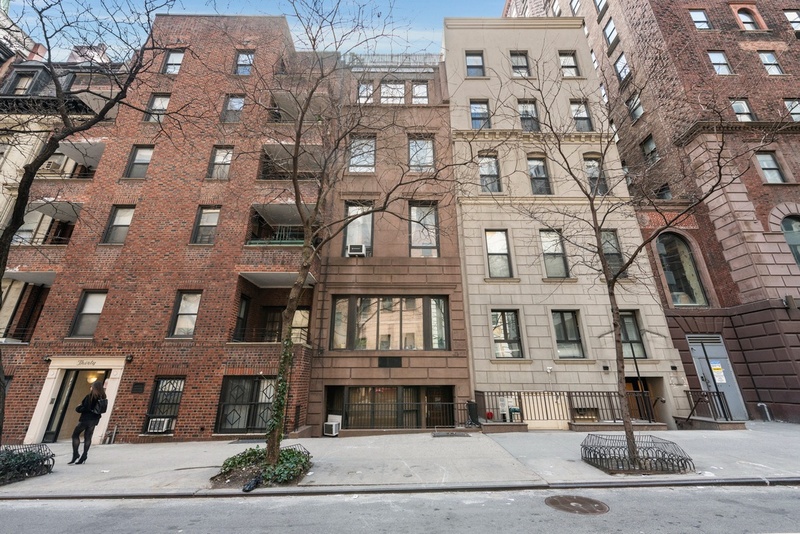 26 East 38th is a prewar co-op located in Murray Hill. Live /work is allowed and the building is surrounded by restaurants, bars, cafes, and shops. The Apt. 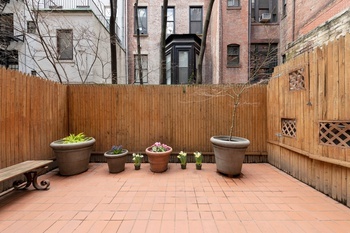 is close to Grand Central and near subway lines 4/5/6/7. Pets and pieds-a-terre are welcome.